This first-rate CD and MP3 audio download of guided meditation to fall asleep offers over 20 practical, easy-to-implement tips from Dr. McCalley. Learn how to fall asleep naturally and enjoy a satisfying, restorative night's rest. This first-rate CD and MP3 audio download of guided meditation to fall asleep offers over 20 practical, easy-to-implement tips from Dr. McCalley. Learn how to fall asleep naturally and enjoy a satisfying, restorative night's rest. The pointers for overcoming insomnia are followed by five excellent tracks of various kinds of relaxation, guided imagery and meditation to fall asleep, providing enough of a range of techniques to have something to appeal to everyone - abdominal breathing, progressive muscle relaxation, mindfulness meditation, guided imagery and deep, hypnotic relaxation. Narrated by Stuart McCalley's reassuring, grounding, calming, straightforward voice, this versatile recording for overcoming insomnia is especially valuable for people who are looking for something that will immediately come across to them as mainstream, sensible and practical. Listen to a sample and see for yourself why this is such a popular and highly regarded choice to show people how to fall asleep naturally. 35 Min. Dr. Stuart McCalley who is the narrator of four films, and three CD’s is Assistant Clinical Professor of Medicine at the Yale Medical School. 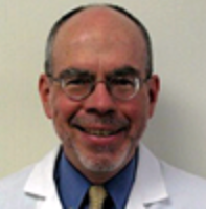 He is also the Director of the Sleep Center at Greenwich Hospital a division of Yale New Haven Hospital.